The Chiltern EverGraze Proof Site is one of four EverGraze sites used to design and test systems which increase returns from grazing native pastures while maintaining or increasing the native perennial grass component and managing ground cover. The five elements combined to achieve the goals at all sites were increased soil fertility to grow more high quality feed; improved grazing management to manage composition, ground cover and utilisation; optimum ewe management to maximise reproductive performance; higher stocking rates for increased per hectare production; and high value breeding stock to increase per hectare production and profit. At Holbrook and Tamworth, improved pasture species were also run in combination with native pastures to increase livestock performance. The three treatments are detailed in Table 1. 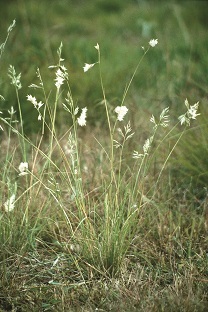 The major species found at the site (representing >5% of the herbage mass) were weeping grass (Microlaena stipoides), sweet vernal grass (Anthoxanthum odoratum), wallaby grass (Rytidosperma spp., previously Austrodanthonia spp. 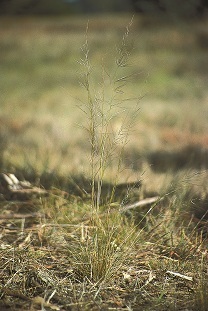 ), spear grass (Austrostipa spp. ), pigeon grass (Setaria pumila), silver grass (Vulpia myuros), onion grass (Romulea rosea) and Yorkshire fog grass (Holcus lanatus). 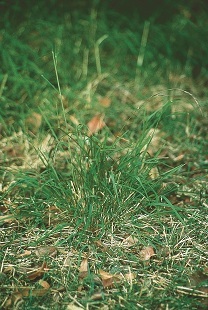 Legumes made up 0-1.5% of pasture composition throughout the experiment. Soil fertility was maintained at Olsen P 6 mg/kg in the Low Fertiliser treatment and was lifted to 12 mg/kg in the High Fertiliser treatment. There was no pasture response to the increased soil fertility due to lack of fertiliser-responsive species. See the pasture composition key message for further detail. 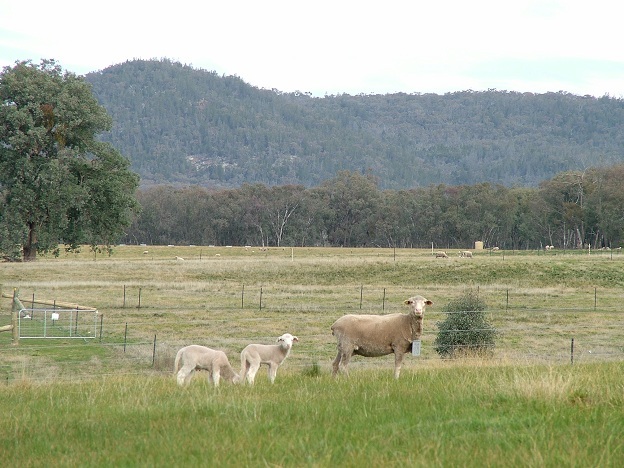 At the commencement of the research (2008), the 3 ha plots were stocked with three-year-old Merino ewes of a known dual purpose bloodline (CentrePlus breeding). Ewes were joined to terminal (Dorset) rams in February for a winter lambing. Ewes were pregnancy scanned 40 days post joining and then allocated to experimental treatments. Ewes were allocated to the experimental plots post scanning to ensure equal numbers of twins and single lambs within each experimental treatment. Sheep were taken off the plots if pasture mass and or cover fell below the critical limits (800 kg DM/ha and/or 70% groundcover respectively). Stocking rates were reassessed each winter and varied between years depending on available herbage mass at that time. There was a high degree of seasonal variability throughout the experiment, and so stock were removed for extended periods during the dry years of 2008 and 2009, while in 2010-2012, plots were under-utilised due to exceptionally good seasonal conditions. Ewe condition within the treatments were managed in line with Lifetimewool regional guidelines for managing Merino ewes with a late winter/spring lambing on the Southern Slopes of NSW, targeting condition score (CS) 2.75 at joining and with a 0.5 CS drop through pregnancy. Condition was monitored and when required supplementary feeding introduced to ensure a return to 2.75 score by lambing.